Broken nose or nasal fracture can cause deviated septum when left untreated. According to Mayo Clinic website, the term nasal fracture is referred to a crack or break in any of the bones in the nose, as a result of a trauma or accident. Symptoms of a nasal fracture include nose tenderness, crooked nose, epistaxis or nosebleeds, and runny nose. Aside from those mentioned symptoms of a broken nose, it can also lead to nasal swelling, which gives a person a hard time breathing through his or her nose. According to Mayo Clinic website, a broken nose or nasal fracture can lead to a deviated septum. Deviated septum is a condition where the nasal septum (the thin division between the 2 sides of the nose) is displaced, which can cause the narrowing of the nasal passage that can possibly make breathing through the nose hard. 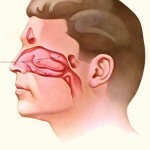 Other symptoms of a deviated symptom, aside from having a hard time breathing through the nose are nasal congestion of both nostrils, postnasal drip, epistaxis (nosebleed), noisy breathing, and sinus infections that are recurring. 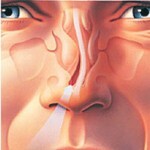 Treating the primary cause of the deviated septum should be done to successfully treat the disorder. However, fixing a broken nose or nasal fracture may require procedures that can help in aligning the nose back to its original position and sometimes, surgical procedures may be needed. 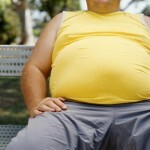 The doctor may also prescribe or recommend medications and management to help in controlling symptoms. Medications that can help in managing symptoms are antihistamines (for the swelling of the sinuses), decongestants, and nasal cortisone sprays. 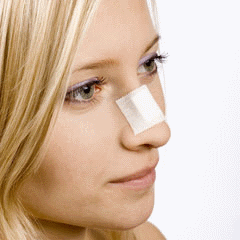 A surgery that is done to repair the deviated septum is called “septoplasty”. Aside from deviated septum, a broken nose can lead to other complications, such as septal hemotama and facial deformities. In septal hematoma, there will be a pooling of blood within the nasal septum. Symptoms of septal hematoma include nasal congestion, difficulty breathing, and swelling of the nasal septum. While in facial deformities, a broken nose will give an appearance of a crooked, swollen, and bruised nose, which can cause a deformity of the nose and affect a person’s facial appearance. Whatever complication of a broken nose would be, may it be nasal hematoma, facial deformity, or deviated septum, a broken nose should be managed and treated as early as possible.